In celebration of Earth Day 2018 I have a round-up of Earth Day Activities for young children. If you're personally interested in taking some earth-friendly steps in an attempt to reduce our pollution, be sure to have a look at the Earth Day Network. They have a campaign going right now with the aim of reducing plastic pollution. Even if you don't want to join their movement, be sure to download their tool kit. There are lots of educational information and tips for reducing your plastic use. Earth Day 2018 is in just 3 days. If you tend to be a last minute person (like I can be) then some of these activities will be perfect for you, as they require very little prep. Please note: A couple of the activities call for plastic tools. Please don't go out and buy any ... just use a substitute. 1. Sensory Play For Earth Day from Pre-K Pages: This is a quick and easy activity. You could easily set it up in your classroom or home in just a few minutes. There's really nothing to do but grab some shaving cream and food colouring. 2. Colouring Pages from Oh My! Creative: I think those animal faces are adorable! 3. Seed Paper from Bees and Roses: This activity is definitely not for the last-minute folks, but it's definitely worth your time to check out. I'm thinking of making my own paper tags and bookmarks to use as little gifts. 4. Magical Earth Day Craft from Books and Giggles: This is another quick and easy project. I just love how beautiful the paint swirls look. If you decide to do this project, please don't use plastic cups and spoons as suggested. 5. 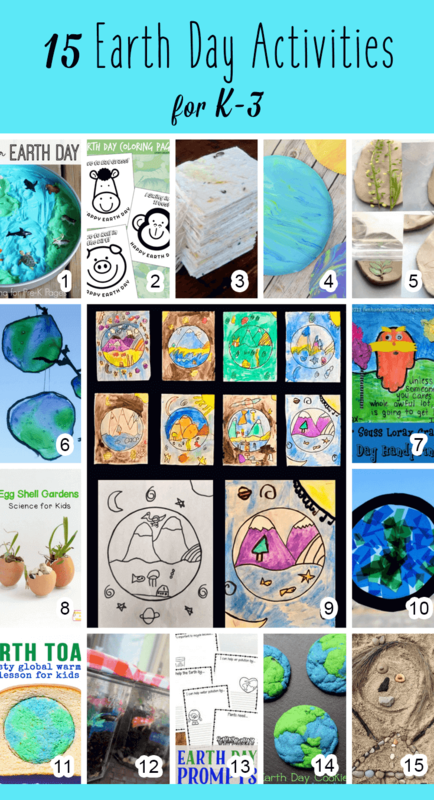 Earth Day Clay Impressions from My Bright Ideas: I've made these before and not only are they easy to do, but they look fabulous. They're great for Christmas presents, too! 6. Stained Glass Earth from The Mad House: I've never tried this technique, but it's so pretty that one of these days I'd like to give it a go. 7. Handprint Lorax and Truffalo Trees from Fun Hand Print Art: Aren't these beautiful? I just love how they turned out. Fun Hand Print Art says the project is geared towards toddlers, but the K-3 set could do these independently. 8. Eggshell Garden from Schooling a Monkey: I can just see a row of these sweet little gardens sitting in front of a classroom window! That's what I'd be doing if I was still in the classroom :) And of course, this doesn't have to be done on Earth Day. This would be fun all year round. 9. Earth Day Paintings from Grade Onederful: We did these a couple of years ago and I love them as much now as I did then. They were easy to create and all the kids were successful. 10. Stained Glass Earth Sun Catchers by Crafts on Sea: A simple craft but oh so pretty! 11. Global Warming and Earth Toast from Left Brain Craft Brain: If your kids like toast be sure to serve up this fun breakfast on Sunday morning. 13. 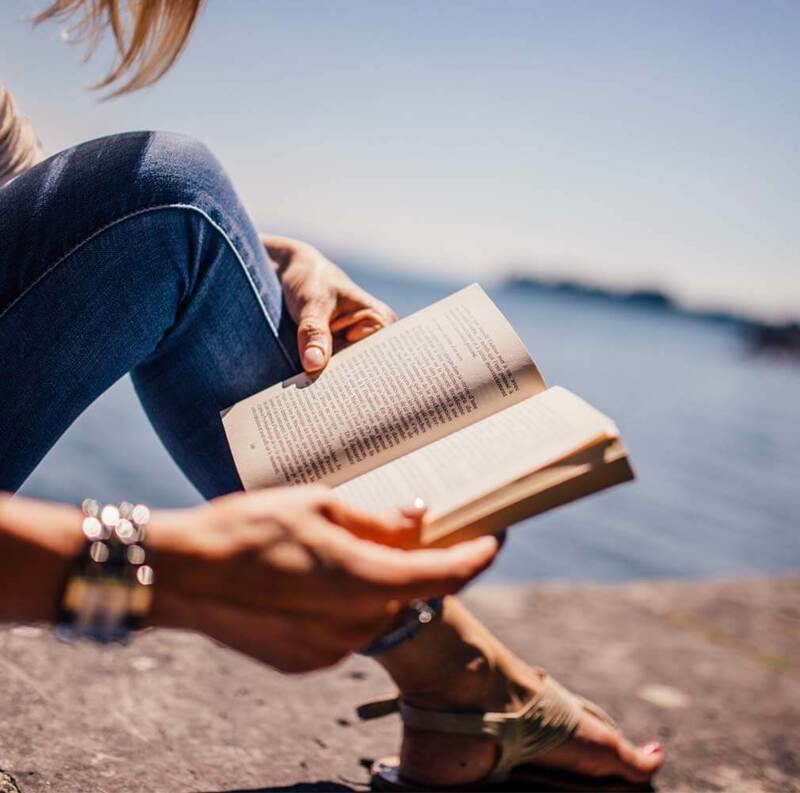 Earth Day Writing Prompts from Natural Beach Living: If you're looking for a last minute writing activity, these prompts might be just the thing. 14. Earth Day Cookies from Tammilee Tips: Baking cookies is an obvious choice for a home-based activity, but it would also easily work in the classroom. We did lots of baking over my years of teaching and it was ALWAYS a HUGE hit! 15. Earth Art from The Craft Train: This last activity is quite possibly my favourite. Zero prep people! Just take your kids outside, find some dirt or sand, and create a dazzling piece of earth art. PS I have more Earth Day activities here. Lots of good ideas in one place. Thanks for putting them all together to make life easy for busy teachers.